The build I recommend using and that I use. Hello and welcome to my second guide. This time It's all about the new Guan Yu. 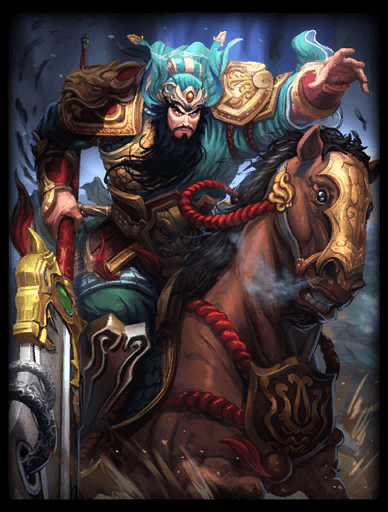 The new Guan Yu now is more about doing damage but stays like the old one a good support. 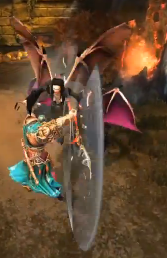 Guan Yu also has a very good chase, wich one is even better with his new ultimate. Build 1: Obviously you need boots for the speed. I would prefer getting Ninja Tabi over the Warrior Tabi because cdr is going to allow you to spamm abilities like your dash. I'll talk about the cdr's importance later. Then you will need the Transcendence because as you will be spamming abilities and Guan Yu has a very low mana pool, This item will not only give you one of the highest physical power that 1 item can give you late game, but also highly increase your manapool. The 6mp5 isn't very good, but can't say no to that. Focused Voidblade, great item for bruisers. Power, defense, and some penetration. There is no ther item that gives similar benefits, except maybe the Anhk but it isn't very good. Shield of Regrowth. Same as Focused voidblade, Defense and power. Also gives some nice hp5 and the passive on it is better than the Runic Shield because physical abilities also activate the passive. I normaly go for the Hydra's Lament at this point. More cdr, one of the highest physical power an item can give, and the passive is also usefull for some extra damage on basic attacks. I normaly go for a titan's bane now. It allows to cut throught armor a lot more than normal. I wouldn't go for it if noone in the enemy is really tanky. Guan Yu Supports very well and helps teamates getting kills and surviving. Ninja Tabi, same reasons as last build but this time I'll tell you why cdr is so important. Not only is guan yu very ability reliable but also, having shorter cooldowns will allow you the chase the enemy even more. Guan yu also has a natural cooldown reduction that will work very well with cdr items. This time I like going for a frostbound hammer. The slow on it allows you to keep your enemies close to you and make it easyer for your teamates to kill them. Also gives more health wich is good for some extra tankyness. Shield of Regrowth, same reasons. BUT! I pick the Voidblade this time. Because now you reduce the protections of your enemies wich is goingg to be helpfull for you and your teamates. Especially when you are always next to your enemies. Jotunn's Wrath. This item does a lot of things. It will make your cdr capped at its highest with your boots (35%), increase your mana pool, give you some more penetration and also gives a good amount of physical power. I like going for the sovereignty, more defense and the aura on it will be very appreciated by your teamates, making all of them a little bit harder to kill. If you really, REALLY need a little bit more early game pen, go for the Warrior Tabi. Not recommended for support. Again, if you need a bit more pen go for the Jotun's Wrath instead of the Hydra's lament. This will also add a bit more cdr. Witch stone, pick this item when there are many ranged or even melee carries or they have been fed and represent more of a danger. The movement speed bonus on it is great for chasing enemies and the attack speed works very well combined with the frostbound hammer. Pick this instead of the voidblade/focused voidblade. Good for both damage and support builds. The frostbound hammer for the damage build is as I said a good chasing item. Helping you getting kills. Also if you need some extra tankyness the bonus health from it is very good. Brawler's beat stick. Very good for some health, lifesteal and crit chance. The main use on it is the healing reduction from the passive. Pick this if someone that can heal in the enemy team becomes very annoying. Also very good agaisn't more than 1-2 healers. Good for both damage and support builds. Breastplate of valor, For more physical protections than the voidblade, more cdr than the hydra and a big increase in your mana pool. If you are using it, it's better to replace it for the voidstone while using pen boots or removing the hydra's lament. You can also keep the voidston and change it for the hydra's lament if your enemy team has many or a fed physical(s). Every actives are good, but here are the ones I like using normaly and the situational ones. Recommended: The Meditation is very good because of how mana hungry guan yu is, If you are playing support I highly recommend maxing it for a salvation mid-late game so you can heal your teamates quickly. Creeping curse, very good while playing support or damage because you can then slow enemies and this will make them very vulnerable. But you need to be at a certain range to get people slowed so if you aren't playing support then the sprint could sometimes be a better choice to catch up with enemies to far to reach with the creeping curse. Another great supporting item or an item you can use before engaging fights is the Shell to the shell of absorbtion. And then the Girdle of might, very good for helping your teamates getting kills or simply yourself. Situational: If you have an enemy that has a big nuke, like he bo, poseidon, ra, ao kuang, hercules, ymir etc. Then the Aegis is always a very good choice to save your life or just avoid a big burst of damage. I see many people using it only to make their death a second later. Use it when you know that you can possibly make it out alive after. If you have bigg cc enemies or dangerous cc then the purification beads can help you counter fenrir's ultimate, ares's ultimate or ymir's freeze, athena's taunt or whatever cc that puts you in a bad situation. Hand of the god, it can be very good when at tier 3 to kill the gold fury or fire giant or you could also pick the fist of the god to stun enemies. Eye of providence, very good to support your team or just avoid being ganked yourself. What makes this better than the normal wards is that once you bought it you will keep having wards to put and you do not have to return to base to get more. Your passive isn't extremely good, but your healing becomes quite significant after getting hit 20 times. Conviction, this is a... small aoe heal but it also gives some protections. Better used when your passive is maxed it will keep you and your teamates alive. You can use the 3 seconds protections before engaging a fight to take a bit less damage. Max it last if you want to do damage, max it first if you want to support. And before using it, if you have teamates around and your ultimate is on cooldown, the 2 seconds cdr you can get from it is very nice so try to use it as much as you can, this will help you getting even more cdr. Warrior's will. It's basicly a quick but short dash that does a good amount of damage, but the main use of it is the slow. If you hit an enemy god with it, it will reduce your cooldowns, again, by 2 seconds. Again, use this as much as you can. Very good to chase enemies as it also slows them and if you have your cdr items, there is a teamate nearby and you use Conviction and this ability to reduce your cooldown, your next dash will very soon be ready to slow your enemies again. Max it second if you want to do damage, max it last if you play support, the slow on it or slow duration don't increase depending on the rank of this ability. Taolu's assault. This is your main damaging ability, does much more damage than your dash, but, it's over time. It also steals up to 30 protections from your enemies, very nice. It's good when you are in a bad situation just to pop this very quickly, get 30 protections then walk away or dash away. It's quite good from early to late game. Use it to clear waves by packing the minions together, and then if it's not dangerous to do so just dash on every of them. Max it first if you want to do damage, max it second if you want to support. Cavalry charge. Devastating if you can land many attacks + the dismount on your enemies. It's a bit tricky to use but you'll get used to it. Also good simply to get an enemy that is a little bit to far away so that you can stun him with the dismount. Try to land the dismount on your enemies everytime you use it. If you need to stun quicker or you think that if you wait longer you're going to miss the stun simply cancel the ult with right clic. The slow on it is also very good to help your teamates get kills. If you do not have any better initiator in your team, then you can do the job pretty well. I recommend using Conviction first to get extra protections before, Then use your ultimate to attack the ones without escapes first, try landing your attack and the dismount on many enemies. Then the fight is well engaged, dash throught an enemy to slow him again, and reduce your cooldown to use conviction again (use conviction as much as you can in teamfights) Then use taolu's assault to deal some damage to your enemies. Be very very carefull, if you are too weak (not much protections, low health, etc) your enemies could take you down easy so be carefull about that. Enemies with escapes: Start with taolu's assault to make them use their escapes. Then if you aren't close enough dash forward and start ulting them. Make sure to land the dismount, use your heal to keep your health as high as possible and keep slowing them with your dash and damage then with your main damaging ability. Enemies without escapes: Similar to the other one but this time you start by ulting so they will already be slowed and stuned significantly reducing their chances to escape. Same as the other one, dash/slow and damage, heal. Because of your natural cdr and your cdr items you will be able to dash and attack with taolu's assault very often. How to get out of sticky situations: Your heal will give you some health and protections so keep that in mind, obviously your dash is your main and is a good escape, and if you need it, ult. The utl also makes you cc immune so you can use it in case some dangerous cc is about to happen. How you will mainly play throught the game. Early game: Use taolu's assault to clear minion waves, try strafing away from the minions a bit to make it harder for the ranged guys to hit you and that if they hit you they will not hit the minion wave. If you need to clear the wave faster then dash on the creeps while not putting yourself in a bad situation. You are very mana hungry even mid/late game so a blue buff will be very helpfull. Mid game: At this point the first ability you wanted is maxed so you can use it at its maximum potential for you if you play damage or for your team if you play support. If you play damage, go for ganks to help you getting fed and help your teamates pushing. If you play support then help your teamate getting kills by initiating first if in lane or pulling out as much cc and damage and heals as you can to try helping other lanes. Late game: If you play damage then you'll probably be very helpfull to carry the team to victory by staying together, healing your teamates and chasing lonely enemies. As a support you'll be the one engaging fights unless anyone else can do it better. Very similar to damage playstyle but at this point you'll be doing a decent amount of damage yourself. What happens when you play guan yu: Taking the support or damage build will still make you a bit weak, not as weak as an assassin but very very far from being a tank. Your heal in lane will add you and your partner a bit of sustain but unless you have your passive maxed it isn't very good. So play very carefully, all of your attacks are at close range so make sure that if anything turns out bad you'll be able to escape. You are very ability reliable but guan yu still has some... nasty auto-attacks. The swing chain isn't very easy to land because it takes some time but will do some big damage. Your auto-attack chain can be very dangerous with a forstbound hammer or when you slow them with the dash, they also are great finishing tools. Don't be scared of using your ultimate to run away, it's better than offering them your death. It's good to note that the taolu's assault is a good jungle camp clearing tool. So if you want to grab a buff quickly without having your lane pushed too much then you probably have time to do so, especially if you dash to be a bit faster. And last thing I'd like you to know when playing guan yu is that Guan Yu's abilities do not scale extremely well with his physical power (wich is quite unfortunate for your dash) so this is what makes guan yu a good support, is that even with less physical power you do not lose too much damage. - Do whatever you need, but keep your teamate alive, bodyblock hits, slow, heal, make them fear you with your damage, make them want to target you first. - Like in the video at the end of the guide, give your teamates the buffs, and try as much as you can to give your teamates the kills but if you aren't really 200% sure that they are going to kill him, secure the kill. Also, when you know it will work out well, tower dive for them or at least get the attention of the tower first so they don't have to care about the tower while they do their stuff. - Stick with your partner(s), they are the ones who when you play well, are going to be extremely difficult to kill, you are the one that can make a big difference on winning or losing. Trust me, your teamates will be very, very happy to have someone like you in your team. And it's also a lot of fun. Here is a game I went through while making this guide. 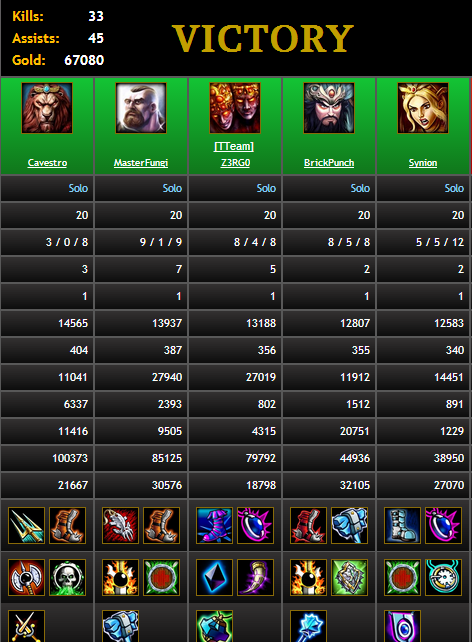 I was guan yu obviously, and my partner was Tyr. Thank you for paying attention to my guide. I guess it wasn't the most beautyfull guide but it wasn't what I really wanted to do. I hope it helped you and that you liked this guide! Here is a video from a youtuber I really like. It's on the old guan yu but it explains very well the role of a support and the old guan yu works very similarly to the new one: You might not have the time to watch it but I think it complements my guide pretty well. but i do not understand why you say that ninja tabi give you cdr? they give you attack speed but not cooldown reduction for your abilities. also void blade is not in the game right now so you should pick another item in you 2. build. 97723 DucksRock [quote=aderwolf] an interesting guide. but i do not understand why you say that ninja tabi give you cdr? they give you attack speed but not cooldown reduction for your abilities. also void blade is not in the game right now so you should pick another item in you 2. build. [/quote] Read the release date. 97722 aderwolf an interesting guide. but i do not understand why you say that ninja tabi give you cdr? they give you attack speed but not cooldown reduction for your abilities. also void blade is not in the game right now so you should pick another item in you 2. build. My eyes hurt. Make the text a less harsh color and add some code into it. 25551 Talenhiem My eyes hurt. Make the text a less harsh color and add some code into it. Wanted to let you know that this build is so good. I don't really too many other people using it, but it's in my opinion the only way to play this God. Using transcendence is so key. Thanks for the guide bro. Haha, thanks for the comment, I wouldn't really say it's really the only way of playing him, right now I'm working on a very different build, trying to see if it works, and if not I try to make it work. I'll update my guide if I think I got a new build that plays differently but works well. 23862 BrickPunch [quote=CrussifiX] Wanted to let you know that this build is so good. I don't really too many other people using it, but it's in my opinion the only way to play this God. Using transcendence is so key. Thanks for the guide bro. [/quote] Haha, thanks for the comment, I wouldn't really say it's really the only way of playing him, right now I'm working on a very different build, trying to see if it works, and if not I try to make it work. I'll update my guide if I think I got a new build that plays differently but works well. 23824 CrussifiX Wanted to let you know that this build is so good. I don't really too many other people using it, but it's in my opinion the only way to play this God. Using transcendence is so key. Thanks for the guide bro. The guide so far is pretty good, but I could recommend a couple of things that would make it much better. First of all, your gameplay section could have a lot more info. You currently have a general what-to-do of Guan Yu gameplay, but I'm sure that there are plenty of additional details that you could add in there. With that other information you have, I highly suggest using pictures. Right now you have a bit of "wall of text" going, so pictures really bring out the important information that you want readers to know as well as add cosmetics to the guide. If you don't know how to add pictures and icons, I made a thread on helpful guides for BB coding on the guides section of the forums. I look forward to this guide looking much better. So far, it's good. Thanks for the comment and I might look to make it a bit better, correct errors and add things I think I should have covered. 23606 BrickPunch [quote=JararoNatsu] The guide so far is pretty good, but I could recommend a couple of things that would make it much better. First of all, your gameplay section could have a lot more info. You currently have a general what-to-do of Guan Yu gameplay, but I'm sure that there are plenty of additional details that you could add in there. With that other information you have, I highly suggest using pictures. Right now you have a bit of "wall of text" going, so pictures really bring out the important information that you want readers to know as well as add cosmetics to the guide. If you don't know how to add pictures and icons, I made a thread on helpful guides for BB coding on the guides section of the forums. I look forward to this guide looking much better. So far, it's good. [/quote] Thanks for the comment and I might look to make it a bit better, correct errors and add things I think I should have covered. 23602 JararoNatsu The guide so far is pretty good, but I could recommend a couple of things that would make it much better. First of all, your gameplay section could have a lot more info. You currently have a general what-to-do of Guan Yu gameplay, but I'm sure that there are plenty of additional details that you could add in there. With that other information you have, I highly suggest using pictures. Right now you have a bit of "wall of text" going, so pictures really bring out the important information that you want readers to know as well as add cosmetics to the guide. If you don't know how to add pictures and icons, I made a thread on helpful guides for BB coding on the guides section of the forums. I look forward to this guide looking much better. So far, it's good.